The Beatles Collection » Parlophone french contract pressings. 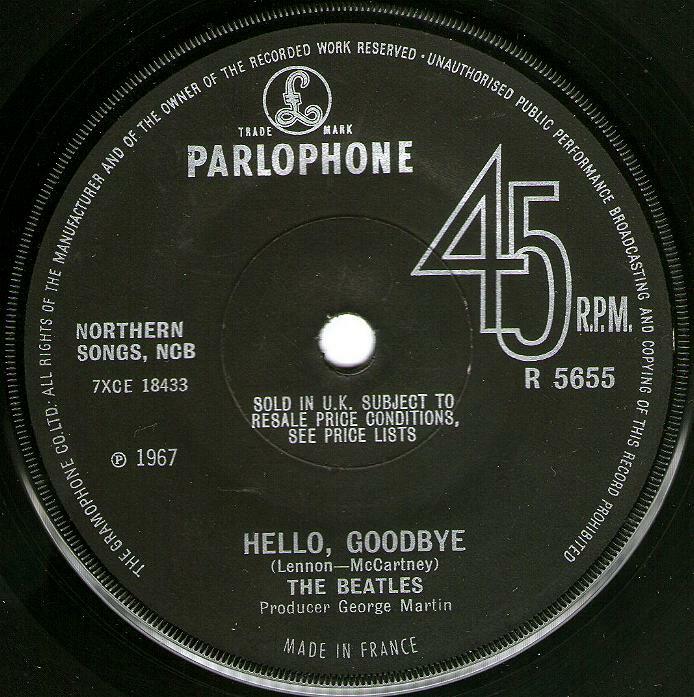 Hello Goodbye / I Am The Walrus, Parlophone R 5655. Release November, 1967. 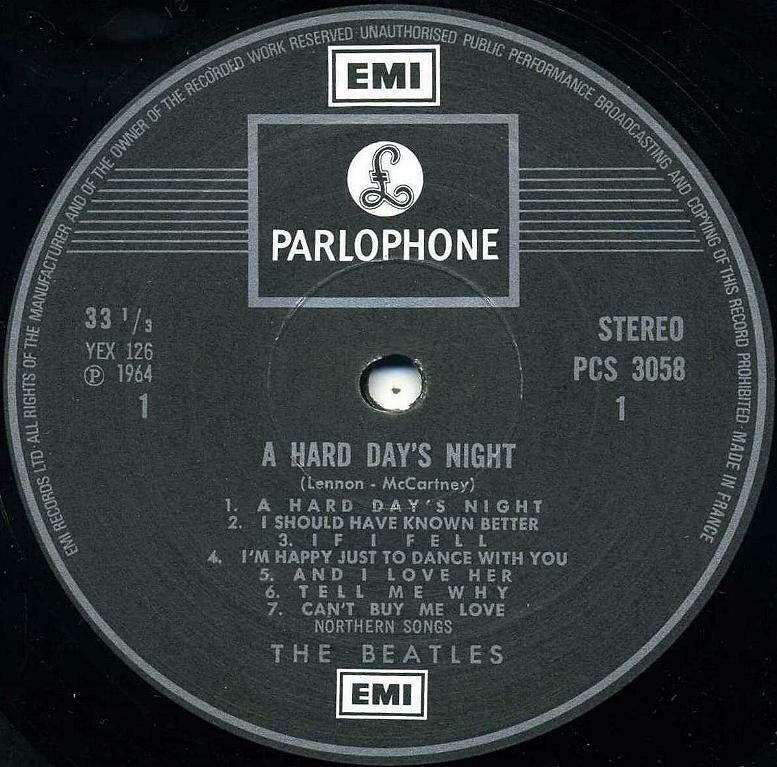 Some copies of this single were pressed by Pathé Marconi in France. On these singles, the “MADE IN GT. BRITAIN” print the bottom of the label was replaced by a “MADE IN FRANCE” print. 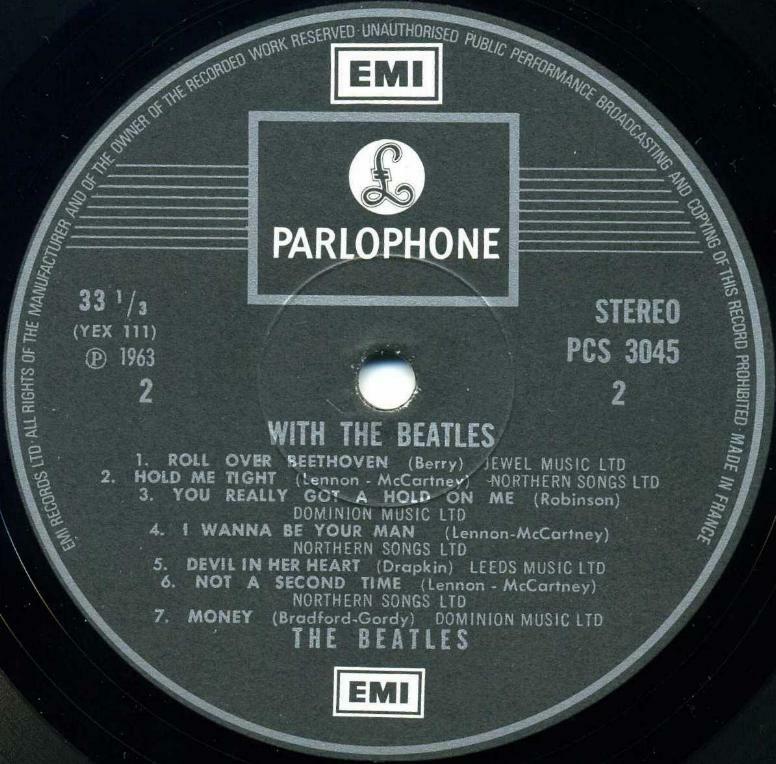 These singles were presumably pressed during a shortage of vinyl in the UK or because of an overwhelming demand. 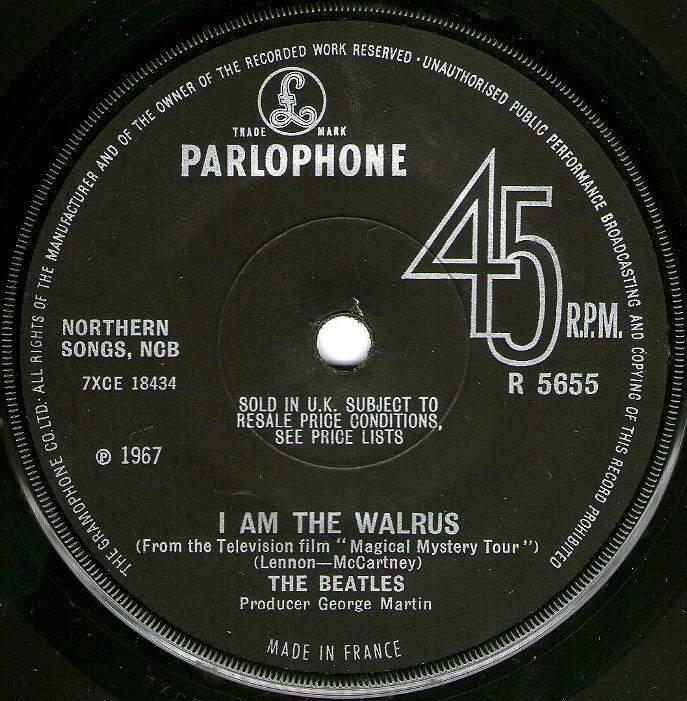 This is the only UK Beatles single pressed in France. The records were housed in the Type 7, 8, 9, 10 or 11 company sleeves (see 03. Beatles on Parlophone Records. Part – Singles). Black label with silver print. The publishing year was printed on the label, as “(p) 1967″. The beginning of the perimeter print was written “GRAMOPHONE CO. LTD.” and “SOLD IN U.K. SUBJECT TO RESALE PRICE CONDITIONS, SEE PRICE LISTS” text. Push-out or solid center. Tax code KT on the trail off area. Also, the pressing is distinguished by the two matrices: Side A: 7XCE 18433-1 M3 256671, Side B: 7XCE 18434-1 M3 256672. EMI temporarily ceased to release LPs in 1973 because to begin of the world oil crisis. LPs production was moved to France on Pathé Marconi for some time. We do not know the exact release date of this release, but we may not be wrong if we define the release date of the mid-70s (probably 1973-1975). 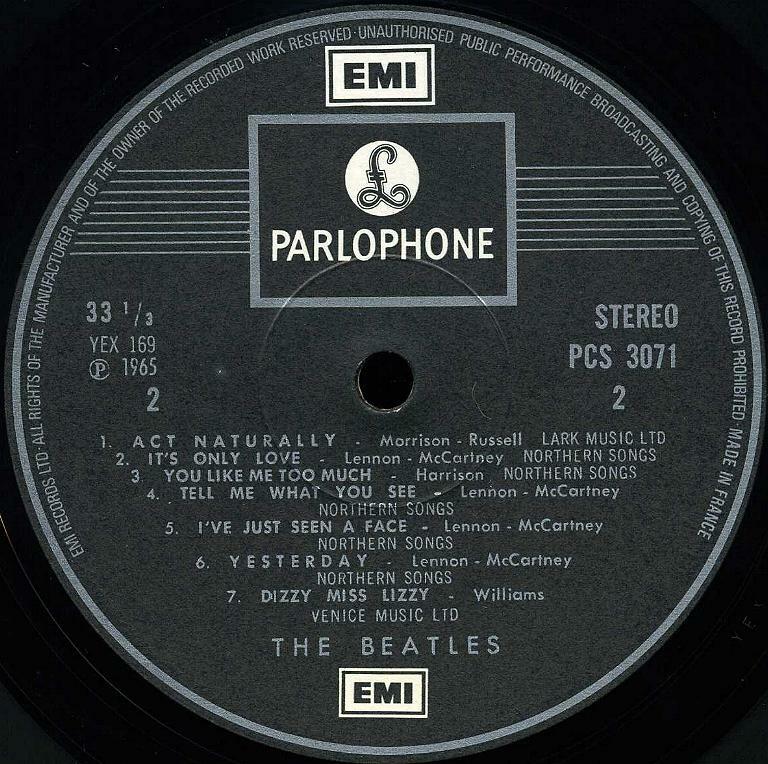 It is on this French pressings appeared new changes in the Parlophone labels which later appeared in British labels. The start of the perimeter print was changed to “THE EMI RECORDS LTD…”. 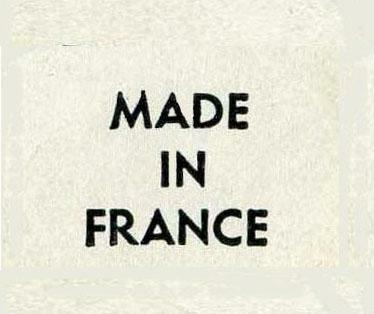 Instead, added “MADE IN FRANCE” text at the end of the perimeter print. 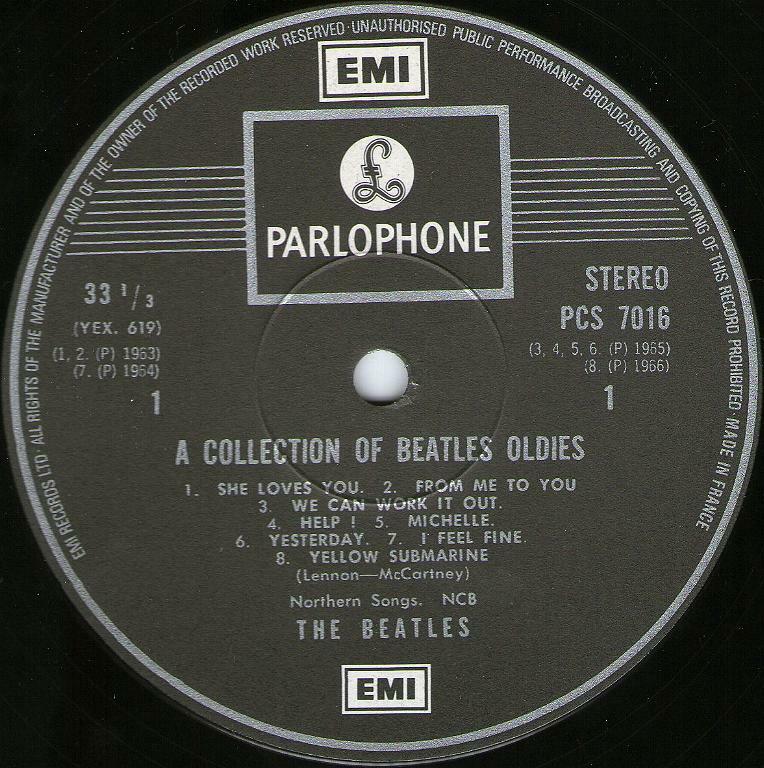 The records were housed in British-printed covers. All discs were manufactured from the original British matrices and all disсs have original British and French matrix numbers on the trail off areas. 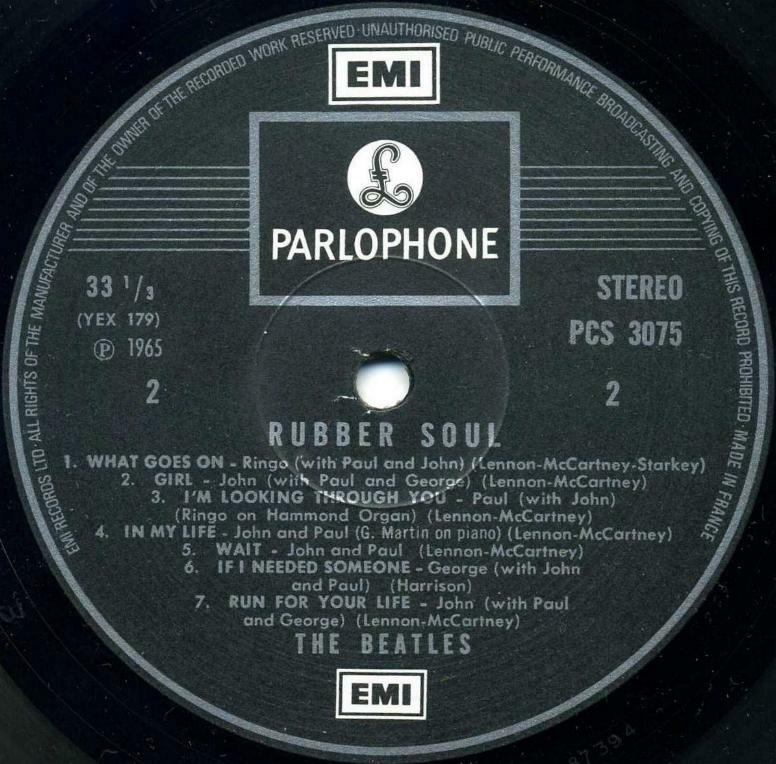 All discs are in British-printed covers bearing “MADE IN FRANCE” 30×20 mm. white stickers. PCS 3042 “Please Please Me”. Matrix numbers: Side 1: YEX 94-1 M6 298109 PCS 3042A; Side 2: YEX 95-1 M6 298110 PCS 3042B. 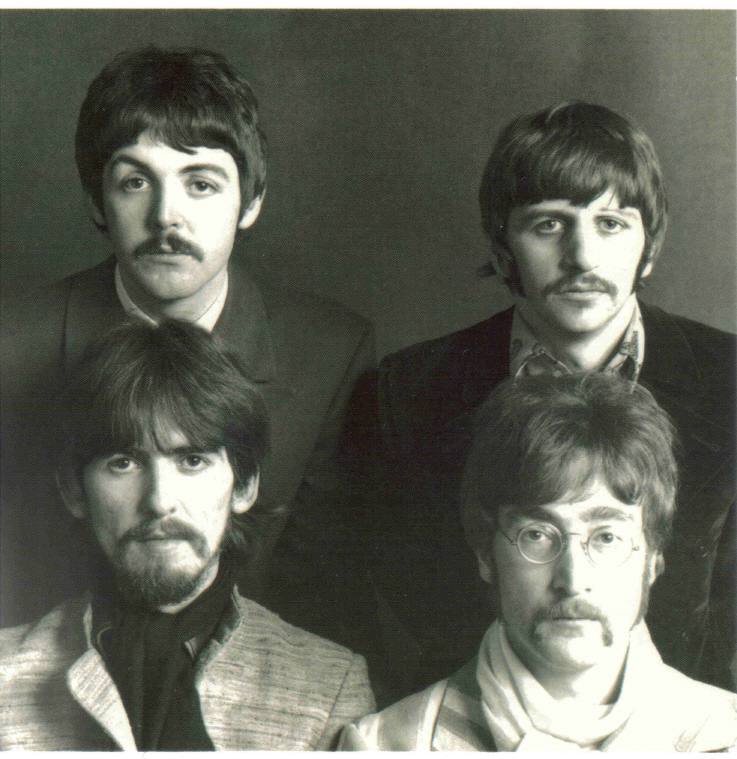 PCS 3045 “With The Beatles”. Matrix numbers: Side 1: YEX 110-2 M6 298111 PCS 3045A; Side 2: YEX 111-3 M6 298112 PCS 3045B. 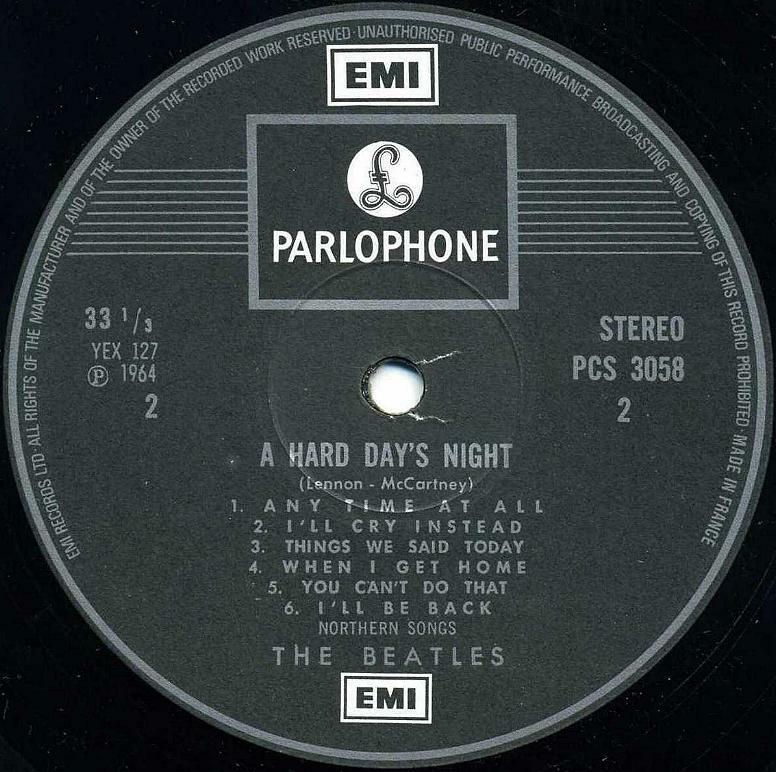 PCS 3058 “A Hard Day’s Night”. Matrix numbers: Side 1: M6 287397 04145A21; Side 2: M6 287398 04145B21. 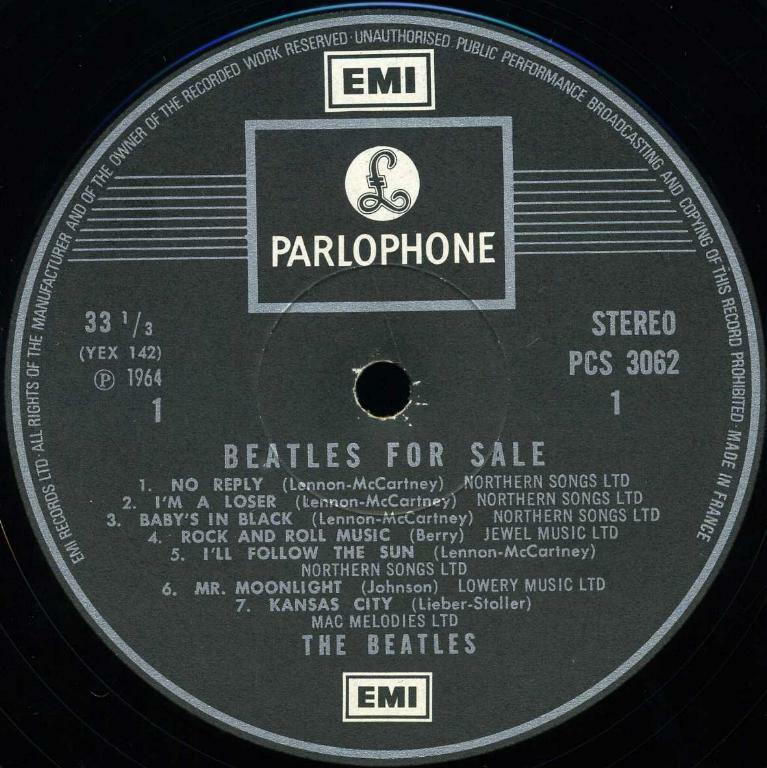 PCS 3062 “Beatles For Sale”. Matrix numbers: Side 1: YEX 142-1 M6 298113 PCS 3062A; Side 2: YEX 143-1 M6 298114 PCS 3062B. PCS 3071 “Help!”. Matrix numbers: Side 1: YEX 168-2 M6 297256; Side 2: YEX 169-1 M6 297257. PCS 3075 “Rubber Soul”. Matrix numbers: Side 1: 3075 A M6 287393 04115A 21; Side 2: 3075 B M6 287394 04115B 21. 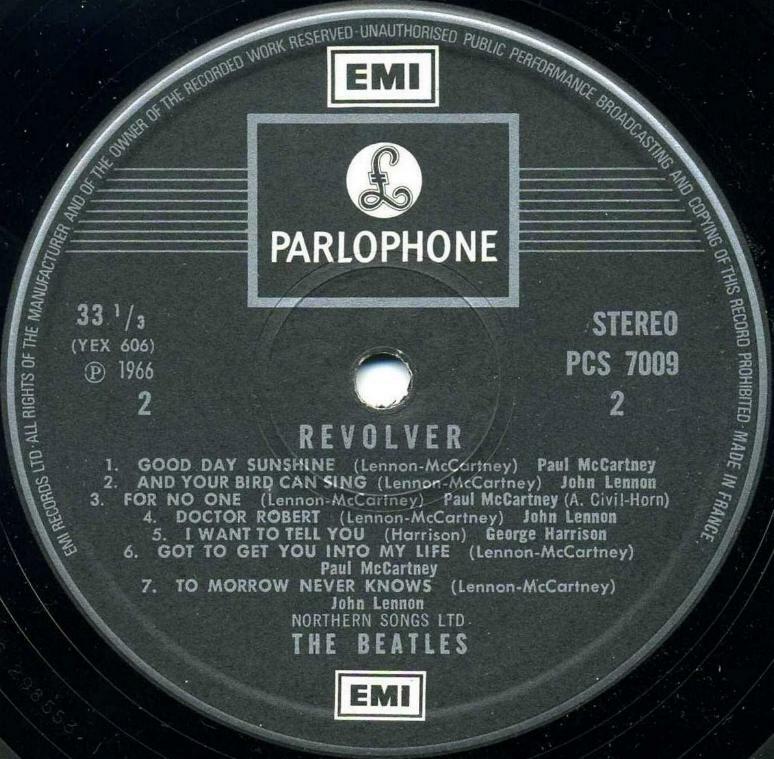 PCS 7009 “Revolver”. Matrix numbers: Side 1: YEX 605-2 M6 298115 PCS 7009A; Side 2: YEX 606-2 M6 298553 PCS 7009B. 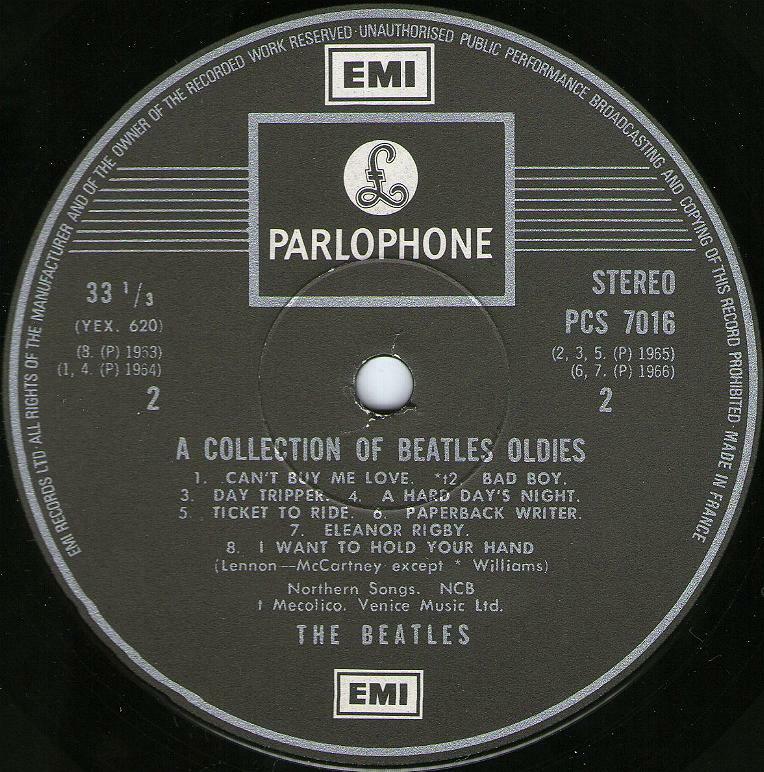 PCS 7016 “A Collection Of Beatles Oldies”. Matrix numbers: Side 1: YEX 619 21B M6 251111 04258A 7016 A; Side 2: YEX 620 21C M6 288217 04258 B 7016B. PCS 7027 “Sgt. 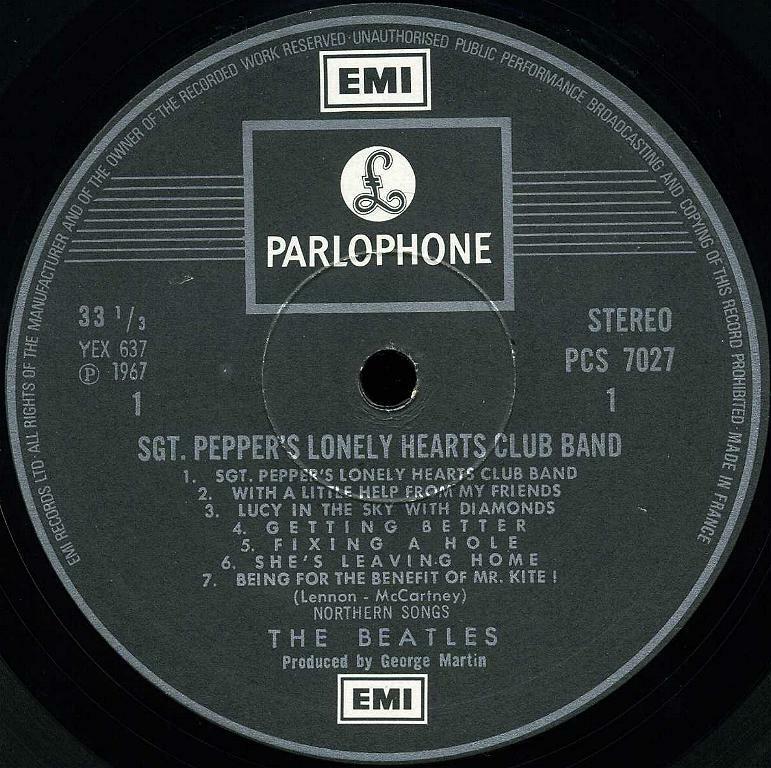 Pepper’s Lonely Hearts Club Band”. Matrix numbers: Side 1: YEX 637-1 M6 297254; Side 2: YEX 638-2 M6 297255.